This past weekend Jim and I awoke with excitement as we looked out the window we realized were blessed with a beautiful blanket of white snow. We grinned at each other and he headed outside with the camera. 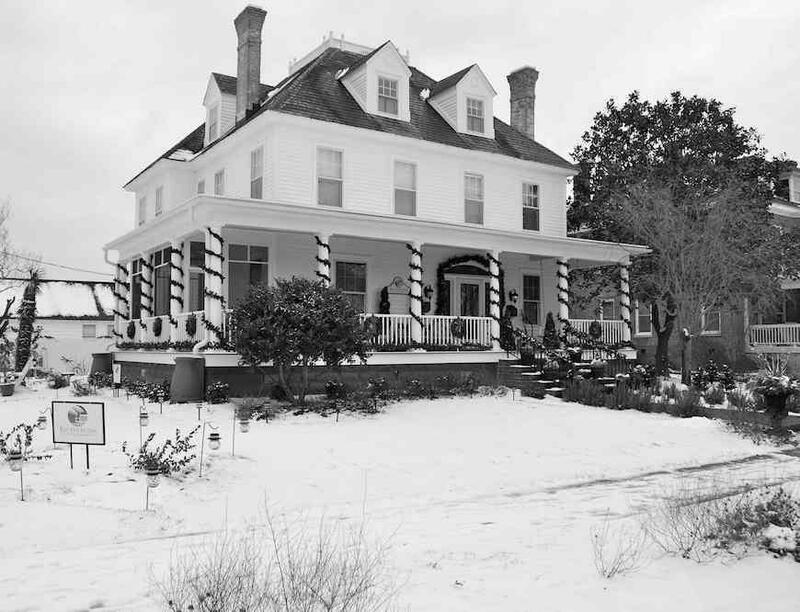 You see we have been trying to “replicate” the photo on our History page from what we guess is to be the 1920’s photo of the house when James and Alyce Wilson lived here. Less me in a long coat I think it is a pretty good replica! Did I mention today it was 75 degrees and I worked in the gardens all day! Oh the joy of the wonderful seasons of weather on the shore…so incredible. We are BLESSED!